Take the stress out of dishwashing with the Smeg 60cm Freestanding Dishwasher! Using an orbital wash system, this Smeg Dishwasher rinses and cleans your dishes, leaving them sparkling after every wash. Smeg's Unique Orbital Wash System ensures water is distributed effectively and efficiently for superior cleaning result. Excellent water and energy efficiency. 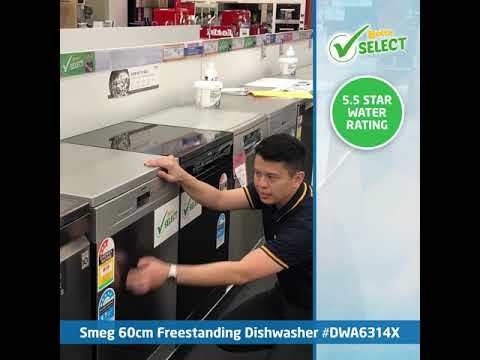 Choose a dishwasher that is best for your needs. Place your freestanding dishwasher in your kitchen wherever it suits you. Built-in dishwashers fit comfortably within a defined niche and provide a sleek look. Or, with an integrated dishwasher you can set the façade to your choosing to match the rest of your kitchen.